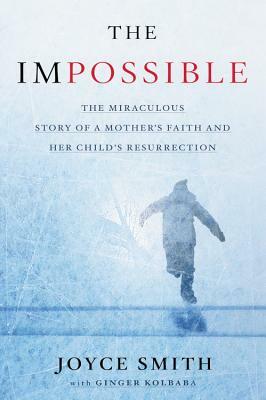 THE IMPOSSIBLE reveals prayer's immediate and powerful impact through the true account of a family whose son died and was miraculously resurrected. Through the years and the struggles, when life seemed more about hurt and loss than hope and mercy, God was positioning the Smiths for something extraordinary-the death and resurrection of their son. When Joyce Smith's fourteen-year-old son John fell through an icy Missouri lake one winter morning, she and her family had seemingly lost everything. At the hospital, John lay lifeless for more than sixty minutes. But Joyce was not ready to give up on her son. She mustered all her faith and strength into one force and cried out to God in a loud voice to save him. Miraculously, her son's heart immediately started beating again. In the coming days, John would defy every expert, every case history, and every scientific prediction. Sixteen days after falling through the ice and being clinically dead for an hour, he walked out of the hospital under his own power, completely healed. THE IMPOSSIBLE is about a profound truth: prayer really does work. God uses it to remind us that He is always with us, and when we combine it with unshakable faith, nothing is impossible. JOYCE SMITH was born in Wichita, Kansas, and due to her father's job, she grew up all over the country. She retired in 2001 and lives in St. Charles, Missouri, with her husband Brian, with whom she has four sons-Joseph, Tom, Charles, and John-and five grandchildren. Joyce keeps busy with her kids' and grandkids' activities, and enjoys cross-stitch, crochet, and decorating. Joyce loves speaking to audiences about what God has done and continues to do for her family. Ginger Kolbaba is an award-winning author, editor, and speaker. She has written or contributed to more than 30 books, including The Impossible, Your Best Happily Ever After, and The Old Fashioned Way. She has also written a novel series Secrets from Lulu's Café. She is a contributing editor for Focus on the Family magazine and a regular columnist for Positive Note magazine. She has published more than 500 magazine and online articles. Ginger is the former editor of Today's Christian Woman magazine, Marriage Partnership magazine, and the founding editor of Kyria.com, all award-winning resources of Christianity Today.